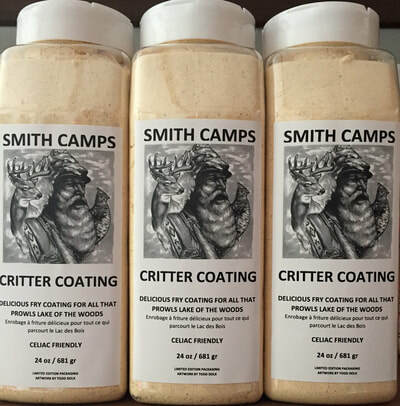 Smith Camps Critter Coating is a corn flour based fish batter that has been developed and used at the camp since opening in the early 1970s. Used exclusively in the restaurant, on shore lunch during guided fishing trips, and for sale through various local retailers, our coating gets rave reviews by all who try it! 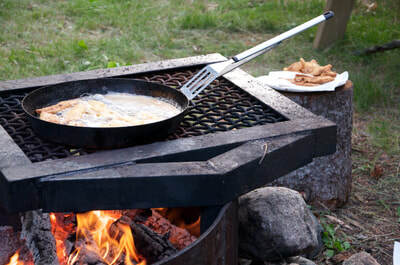 As a corn flour based product, anyone with Celiac Disease or a gluten intolerance is able to enjoy a fish fry once again! By using only corn flour and spices, it's a very fine breading. It allows for a light coating that does not absorb grease like heavier breadings or batters do. 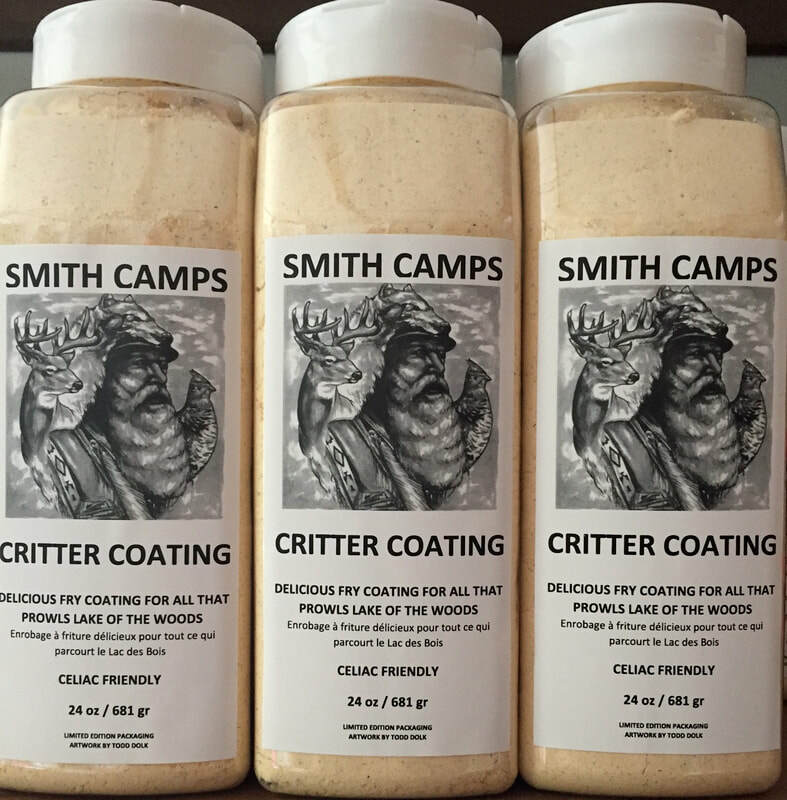 If you like a heavier coating, you can bread the fish or meat in Critter Coating, dip in an egg wash, then bread again with Critter Coating. This double-breading method is especially delicious for fried chicken! Since the flour mixture is so fine, a little goes a long way! Not a fish eater? Use this on chicken, breaded cutlets, or even mix a few tablespoons with chicken broth for a quick gravy. Purchase a 24 oz. jar for $15.00 in our gift shop, or at the following local retailers. Available in Kenora at Frosted Foods, Sunset Baits, and Lake of the Woods Sports Headquarters. Also available for purchase by the case (12 jars) to save a few dollars. Not in town? Give us a call and we can arrange shipping. If you would like to carry this product in your shop, please call and speak with Alan or Joanie and we will be happy to supply you! 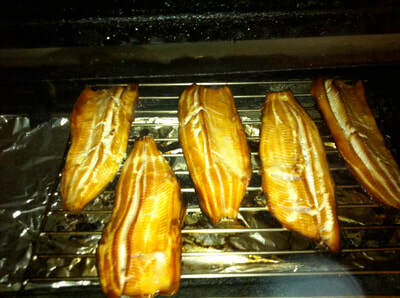 Also available, is fresh Lake of the Woods Smoked Whitefish (pictured above, far right). Done on site, this is a local favourite available year round (dependent on availability). Try some at the camp or purchase for your own party or event. Many local caterers order as an appetizer when catering events in Kenora or on the lake!